With the support of Oxfam Uganda, SEATINI Uganda convened a study validation meeting on March 22nd 2018 to review the Tax Administration Diagnostic Assessment Tool (TADAT) and its effectiveness in enhancing Tax Administration in Uganda. Stakeholders from government, civil society and the media were brought together for input and recommendations on the final document. TADAT was developed under the auspices of the IMF and World Bank. It was modeled on the Public Expenditure and Financial Accountability framework as a revenue counterpart under Public Financial Management assessments along with providing a more comprehensive view of the whole fiscal picture. This integrated monitoring framework measures the performance of a country’s tax administration at a point in time and is also designed to provide objective and consistent assessments of the outcome performance across the essential tax administration functions. The assessment report (the output) was expected to have significant input into the reform objectives, and design, sequencing and prioritization of technical assistance. The international community's wider agenda to help countries strengthen their tax systems to better mobilize the domestic revenue they need to provide essential goods and services for their citizens in a sustainable and economically sound way is what has led to the TADAT initiative. It is an ongoing challenge for all countries at all income levels and at all stages of development to deliver the highest quality tax administration services to meet the needs and expectations of government, taxpayers of many types, and the wider community. Governments face fiscal pressures, businesses demand even handedness and higher service standards with ways of interacting with the tax administration as modern as those found in the best areas of the private sector, and the public demand accountability and transparency from the tax administration which has extensive reach into the community. This report presents findings of a study commissioned by SEATINI Uganda to critically analyse the applicability of the TADAT framework and its effectiveness in improving tax administration outcomes in Uganda. 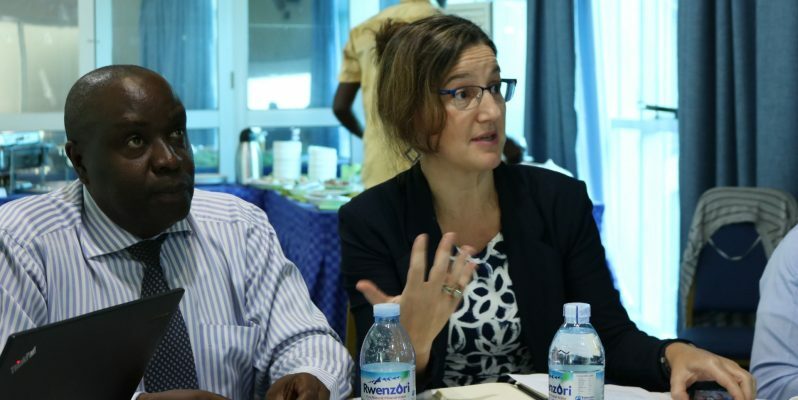 The study focused on government responses aimed at improving Uganda’s performance on the TADAT outcome areas based on the findings of the 2015 assessment, as well as Uganda’s strength and weaknesses in the implementation of the TADAT. Currently URA is more focused on tax compliance and thus needs to shift towards tax education and the establishment of a link between TIN numbers and national identification numbers to clearly map out tax payers. Improved collaboration among government agencies in regards to information sharing regardless of the many challenges faced in data security and privacy. Simplification of current tax laws for better compliance; this makes it easy for tax payers to better understand and appreciate the tax system. Undertake legal reforms for improved effectiveness and efficiency of URA and the tax administration system. Request from URA to the researcher in providing a more detailed recommendation to each performance indicator. No country in Africa performs yearly TADAT assessment as a result of some indicators needing time to be worked upon.